This is a fine, smooth drink to introduce someone to a ‘peaty’ malt. After living in Scotland for ages I came to appreciate how location and a peaty water source affected single malts. Great bouquet, round finish and a medium level of peatiness define this malt. An excellant buy. 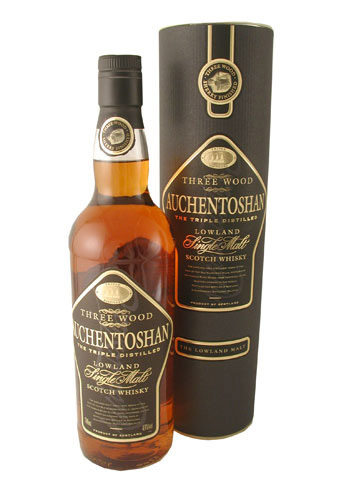 This very woody and slightly smoky and peaty scotch has an outstanding character to it with a good flavor, however the woodiness overtakes the spiciness of its cheaper cousin the Auchentoshan Classic. The spiciness of this scotch given its amazing price is very rare. This is Oban for the person that is broke (Auchentoshan Classic). 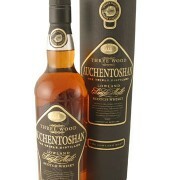 But this tripplewood adds woodyness to a Oban style spice. It’s harder to enjoy the spice, but if you are in the mood for woodiness with a nice spicey character then this is for you. This ranks just outside the top 20 all time Scotches on my list.